Diamonds are forever, and we at GN Designer Jewellers are committed to helping you find a rock that you’ll love forever! In your quest for the perfect diamond jewellery that Melbourne shops have to offer, our intention remains to make the experience a pleasurable one, every step of the way. Our advice includes the type of metal to choose, as well as a comprehensive diamond education process.  You’re right to come to us at GN Designer Jewellers because we provide the highest quality diamonds that boast genuine, awe-inspiring design. Our rocks are certified by reputable diamond labs, so you can be sure of acquiring a one-of-a-kind ring that’s authentically treasured. Our extensive collection of diamonds means that there will always be a nice fit for your lifestyle and preferences for budget, shape, and size. Your requirements are special, such as when you’re buying diamond for an engagement ring or just to enhance the elegance of your wedding band. Based on that understanding, GN Designer Jewellers strive to provide you with a unique diamond that boasts unrivalled quality and brilliance! If you’re going for the most impactful engagement rings, you can count on our exhaustive consultation process to help you develop the right custom design. We make it a priority to educate you on the 4Cs of diamonds to help you make an informed choice. Color: the evaluation of most gem-quality diamonds is based on the absence of color. A chemically pure diamond with a perfect structure has no hue (like a drop of water) and thus a higher value. Clarity: natural diamonds are the result of carbon exposed to extreme heat and pressure deep inside the earth. This process causes a number of internal characteristics called ‘inclusions’ and external characteristics called ‘blemishes.’ Evaluating diamond clarity involves determining the number, size, relief, nature, and position of these characteristics. While no diamond is perfectly pure, the higher the purity, the greater the value. Cut: this refers not to the shape of a diamond, but to how well a diamond interacts with light. Precise artistry is required to fashion a stone so that it delivers a stunning return of light. Carat weight: carat weight measures how much a diamond weighs. A metric carat is 200 milligrams. Each carat can be divided into 100 ‘points’, which allow precise measurements to the hundredth decimal place. Diamond weights greater than one carat are expressed in carats and decimals. In addition, over the course of consultations with our diamond design experts, we will show you rocks of a wide spectrum of shapes and sizes. This will ensure that you’re able to pick a custom rock that’s unique to your tastes and budget. Shape is the physical look of your rock. There are unlimited and exciting possibilities when it comes to picking the perfect shape for your diamond, including round, cushion, and princess. Every diamond shape has its own unique characteristics and symbolism, but what is great for you is down to your own personal requirements. We will explain everything you need to know about shapes as you choose your preferred diamond. Certification is also an issue that we freely discuss with our customers who are looking for the best diamond rings Melbourne stores have today. The diamonds we sell are certified by credible authorities including GIA, HRD, and Auscert. At GN Designer Jewellers, we do our best to advise you on the implications of the choices you make regarding the 4Cs as well as other essential considerations when choosing the ideal diamond. But we are not substitute for your own take and feel about the options that are available. That is why we encourage our customers to feel free to discuss their own tastes and style, which we then combine with our jewellery expertise to bring out the best of diamond. If you want to take into account the style and preferences of your spouse, we’re open to all your desires. Where you may lack in inspiration, we will let you see, touch, and feel our massive collection so you can pick something fantastic! Call us today for expert guidance in the selection of the ideal diamond jewellery. We are eager to advise you on the selection of one of the most stunning and exquisite diamond jewellery Melbourne sells today.